Chennai To Win! 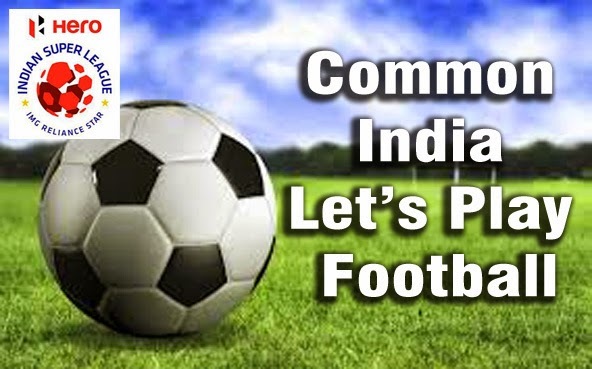 Watch ISL Final Live Score Goa vs Chennai Match Streaming Result Prediction 2015 : Finally, The Day Come For Indian Football Fans, After a Long Journey in Indian Super League 2015 Season 2, 8 Teams starts from Day 1, 3 October 2015 and Lasts Only Two teams Left in The League on The Final day, 20 December 2015. Yes, Today Indian Super league is Going to Host their Finale. 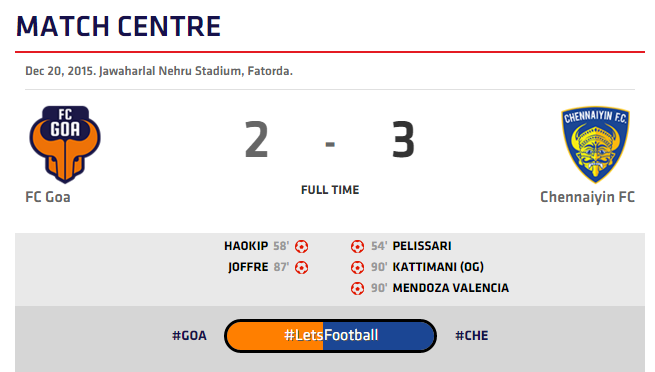 Goa and Chennai are The 2 Finalists of ISL 2015 Season 2, After a Long Struggle Both teams shows Their Level in The Game, and Reached to the Finals. The Format of The Game is Different this Time. 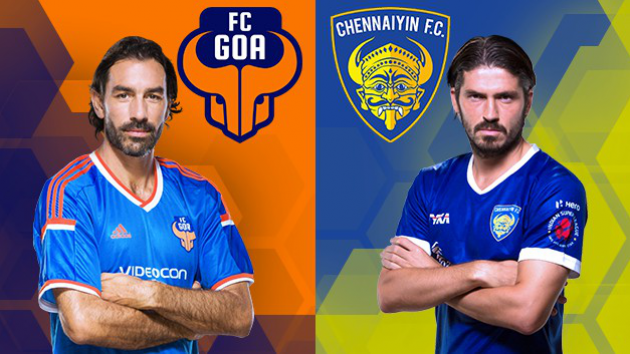 Watch ISL 2015 Finals Goa vs Chennai at Jawaharlal Nehru Stadium, Fatorda Live From 7:00 PM IST On Star Sports Network. Chennaiyin fc win isl 2015 trophy. The Semi finals was Organised in 2 Phases 1st Leg and 2nd Leg. The 1st semi final was Between Goa and Delhi, 1 Won By Delhi and Another by Goa But Goa Won its Match by a Big margin so the Team qualify directly for The Finals, same Story Happens with 2nd semi finals teams Last Year defending champion Kolkata and Chennai, both won each Match but Chennai won the Match by a Big Margin so, This time Kolkata Go their Home and Chennai in Finals. Today is the final of Indian super league and Live coverage will be broadcast on the Star Sports network in India and the rest of the sub-continent. Star Sports 1, Star Sports 2, Star Sports 3 and its HD channels, as well as Star Gold, Star Utsav (both Hindi), Jalsha Movies (Bengali),Suvarna TV (Kannada), Jaya Max (Tamil) and Asianet Movies (Malayalam) will show the performance live. Goalkeepers: A Nidhinlal, Apoula Edima Edel Bete, Karanjit Singh. Defenders: Eder, Mailson, Abhishek Das, Alessandro Potenza, Bernard Mendy, Dhanachandra Singh, Justin Stephen, Lalmangaihsanga Ralte, Mehrajuddin Wadoo. 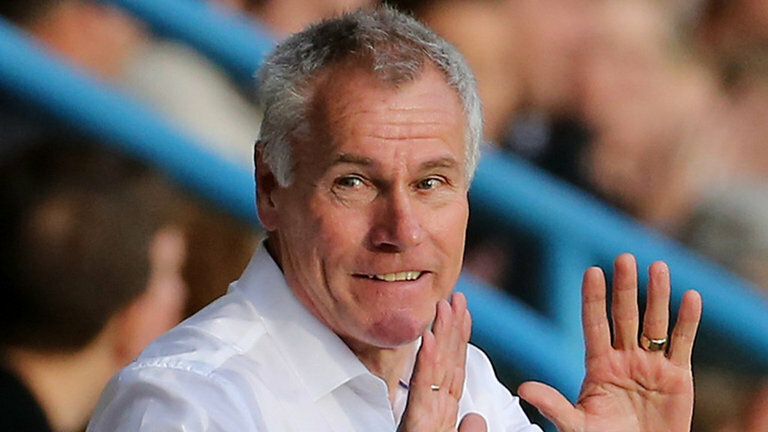 Midfielders: Raphael Augusto, Bruno Pelissari, Dhanapal Ganesh, Elano, Godwin Franco, Harmanjot Khabra, Thoi Singh, Manuele Blasi, Zakeer Mundampara. Forwards: Balwant Singh, Fikru Teferra, Jayesh Rane, Jeje Lalpekhlua, Stiven Mendoza. Prediction : Chennai will win today. 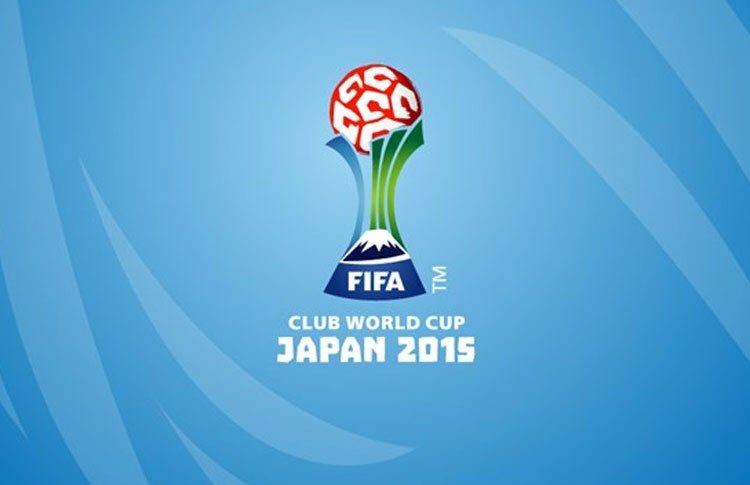 Stay with us for more Sports News and new Updates..be Happy,,Stay Cool….